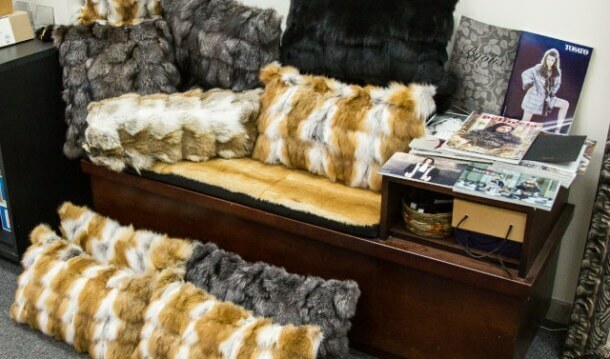 Take your home comfort to a new level with Toronto’s trusted furriers at Herman Sellers Gough Furs. Imagine relaxing with a warm, fluffy fur blanket or accessorizing in style with precision-made throws. HSG takes pride in our selection of fur accessories in Toronto and our ability to satisfy your unique requests. As manufacturing and repair professionals, we have long been known for repurposing fur coats into one-of-kind items you will cherish for years. Call today to let us know how we can enhance your home environment.